The Urban Raid is set to return, now in its sixth year: a 3 hour metrogaine in the heart of the Brisbane CBD! Come experience the city Friday night lights, where you and up to three other team mates will navigate to collect as many check points as possible in a 3 hour time limit. Set at a time to capitalise on the cooler summer evening temperatures, this course is achievable by all levels of athlete. Whether you’re out for a casual stroll with the family or one of the city’s elite runners, you chose as much or as little of the course that you want to do. Only basic navigational skills are required with the option of an “On Foot” or “On Wheels” category. The race will return to the Lang Park PCYC at 40 Castlemaine St, Milton. Free undercover parking is available for competitors in the PCYC car park off Castlemaine St. Both Milton and Roma St stations are within close proximity for those catching a train. A3 colour, 1:15000, waterproof. One per competitor. Format: Q and A type check points (CPs) with a traditional rogaine scoring format. See the QLD Rogaine Association Website for more details if you are unfamiliar with how a rogaine works. 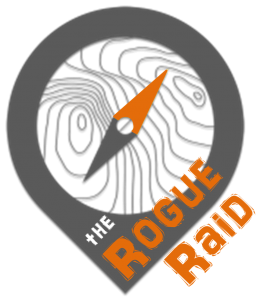 For an example course, check out the Raid Adventures results page from previous events here. Along with the traditional Mixed/Mens/Womens team categories, the Urban Raid will have an additional special category: “Urban Raid on Wheels”. This category is open to teams using any form of non-motorised transport with wheels, except for bicycles. For example, teams in this category could use roller skates, skateboards, kick bikes, unicycles, roller blades, scooters, strollers, wheelchairs, etc. Bicycles are not permitted. Age classes include a Colts category for teams with every member 21 years old or younger and a Veterans category for teams with every member 40 years or older. Teams will be required to bring a torch or headlamp to read the map and a couple of marker pens to record their answers to the CPs. They will also need a digital camera or a phone capable of taking photos for a special check point. A compass and water bottle are also strongly recommended. A calculator to work out your score at the end of the race would also be handy. 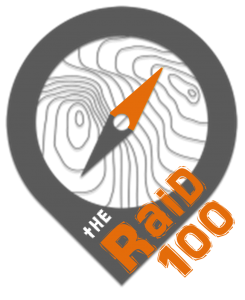 A portion of entry fees from the Urban Raid will contribute to the Lang Park PCYC Youth Development Program to sponsor a Dukes of Edinburgh Journey which will assist the dukes to get out and experience the Australian bush. The “Dukes” will also be catering the post-race BBQ. Entries for the 2018 Urban Raid are now open!